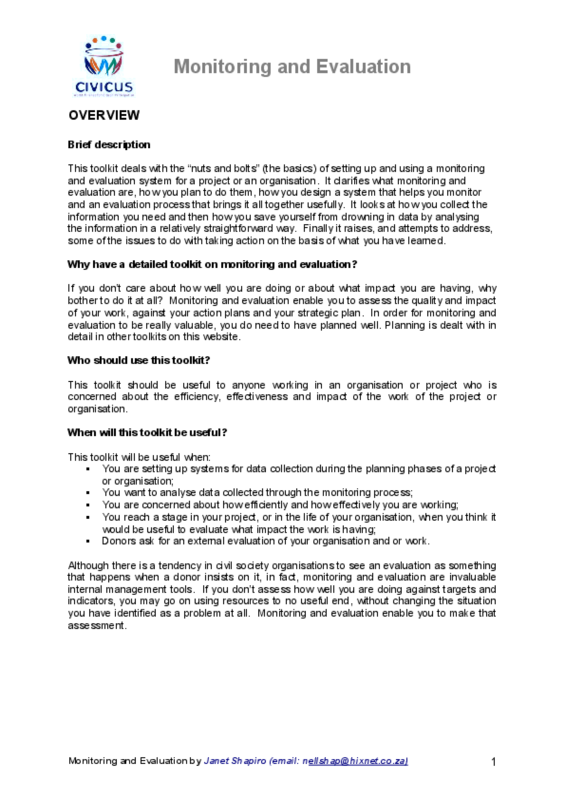 This tools deals with the basics of setting up and using a monitoring and evaluation system for a project or an organisation. It clarifies what monitoring and evaluation are, how to plan them, how to design a monitoring system and an evaluation process. A glossary is included. Copyright CIVICUS - World Alliance for Citizen Participation.